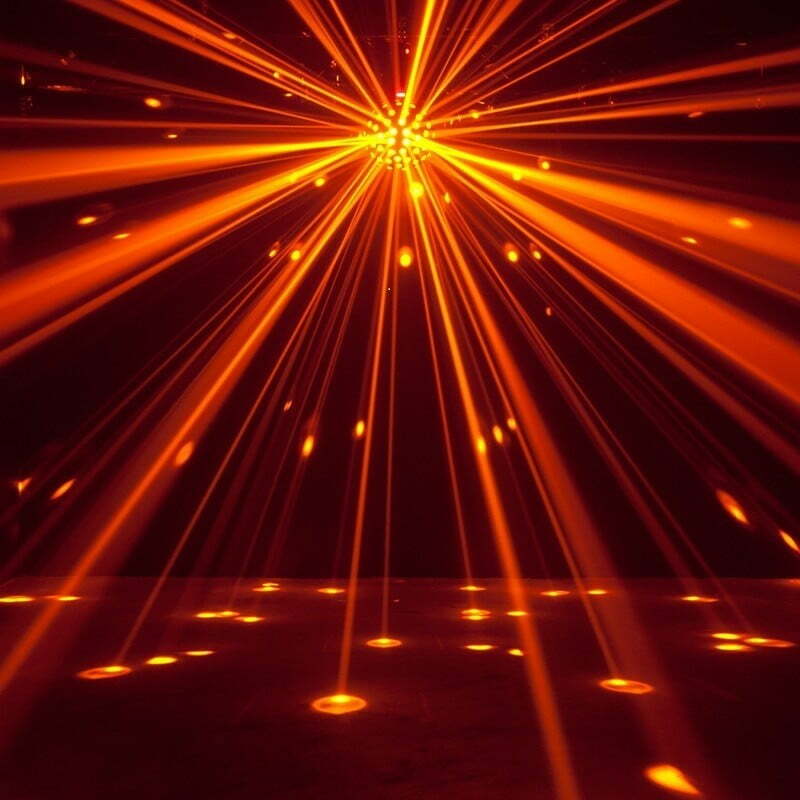 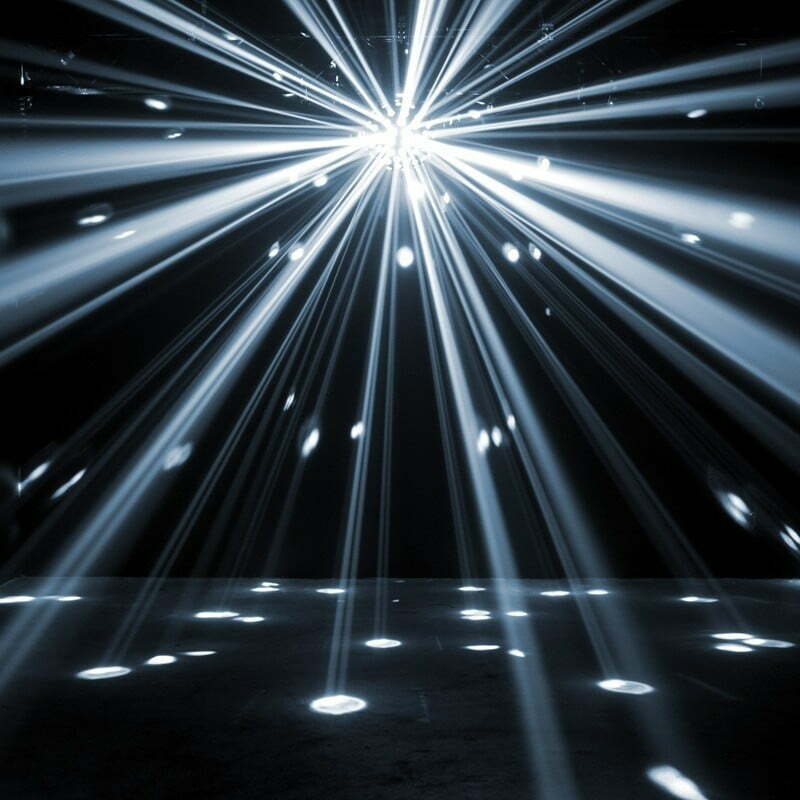 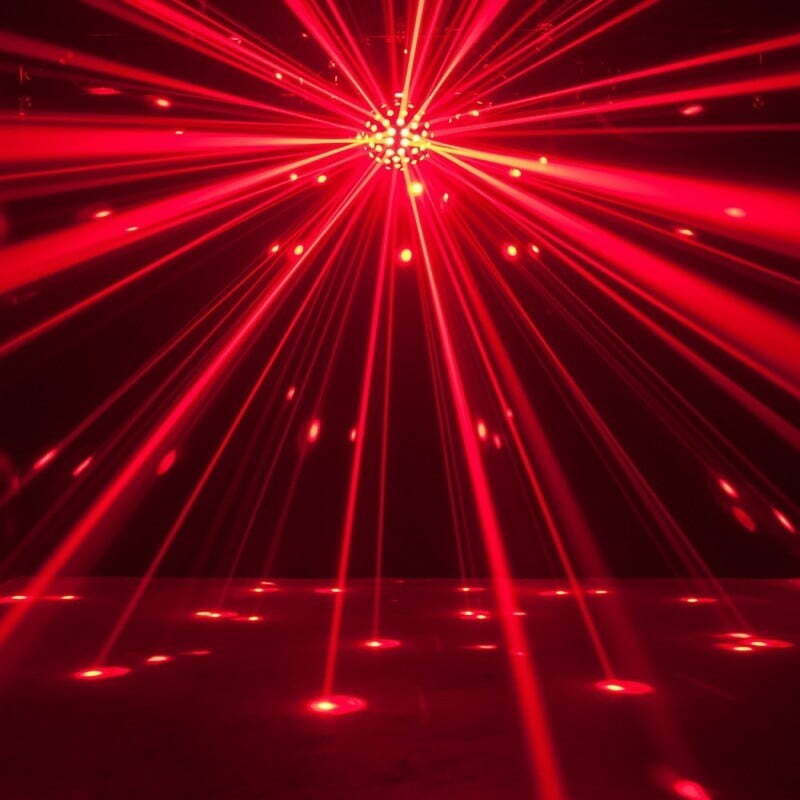 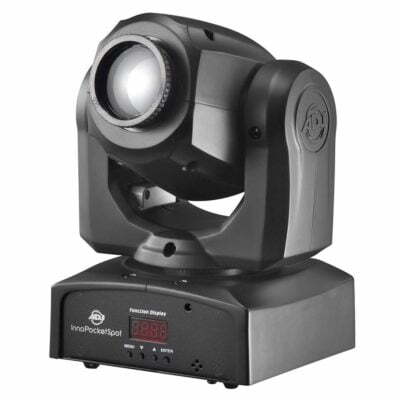 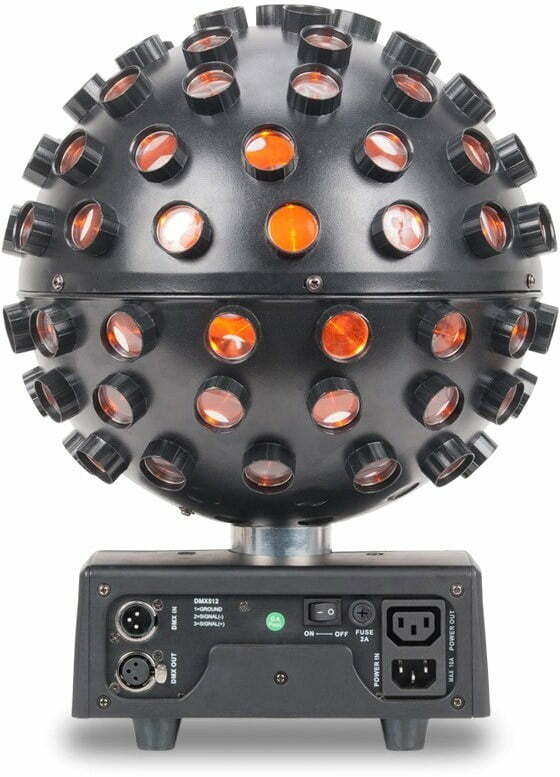 Home / Stage Lighting / All Disco, Mobile, Stage Lighting / ADJ Starburst – Yowcha UK. 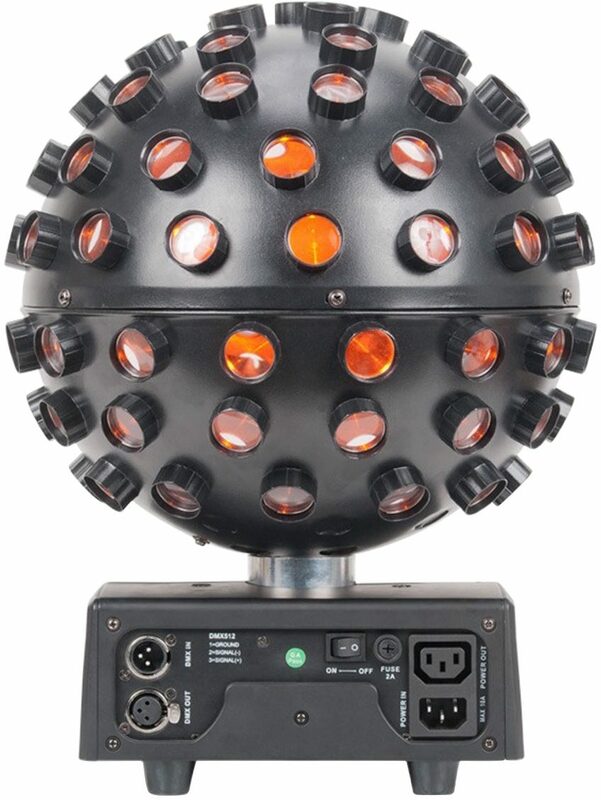 LED sphere effect with very sharp and intense beams! 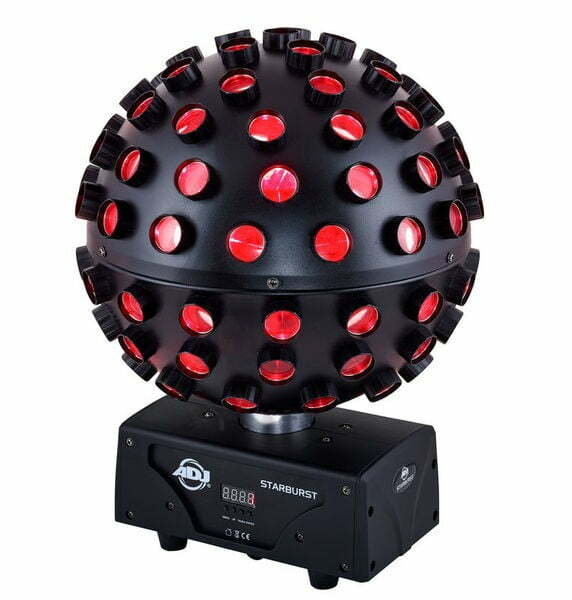 Five Colour Sphere LED effect light with very sharp and intense beams of light that bounce and rotate to the music. 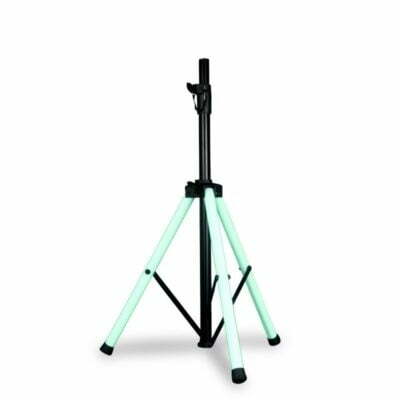 The 5 HEX-LED’s gives you a wide pallet of colours never possible before. 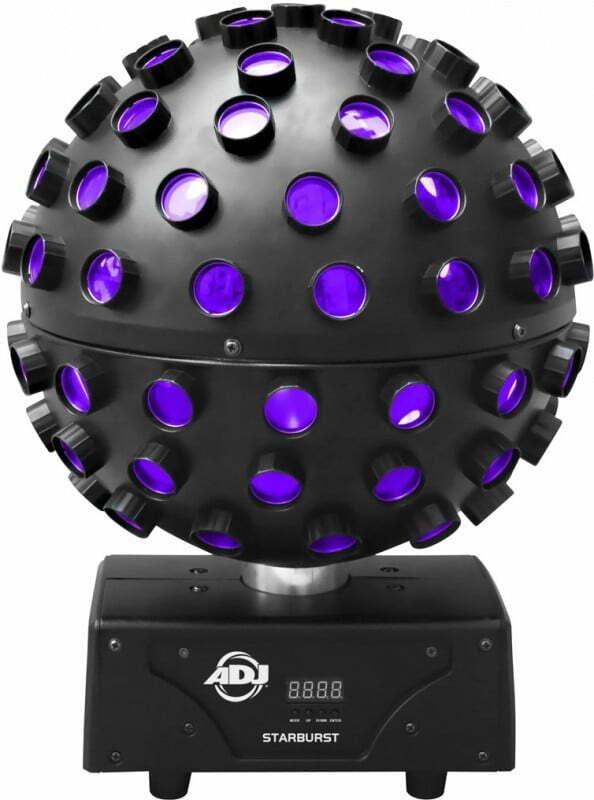 The ADJ Starburst is a LED sphere effect that rotates to your music while shooting out super-sharp, multi-color beam effects. 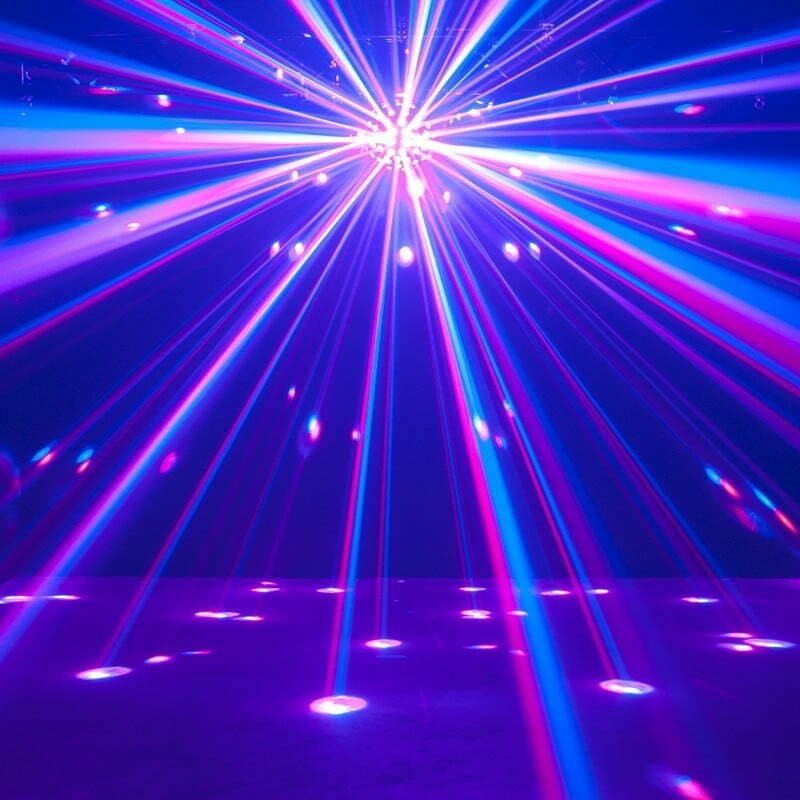 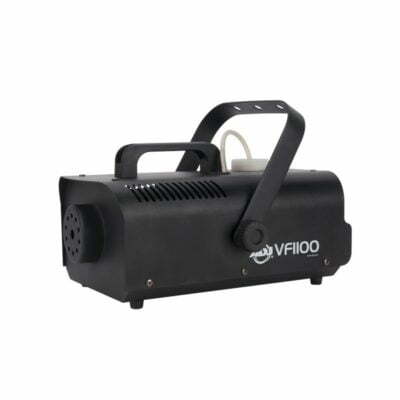 With a light source consisting of five 15W HEX (RGBW+Yellow+Purple) LEDs, the Starburst provides access to a wider pallet of colours than previously possible, giving you the flexibility and creative scope to entrance your audience with unique hues and attention-grabbing effects.